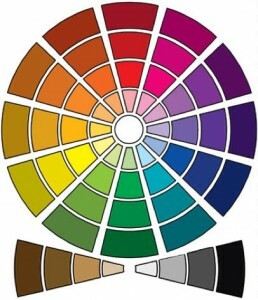 Your best neutrals are those with the same undertone (cool or warm) as your own coloring. The true neutrals are black, white, and grey but certain colors can be neutrals too: beige, brown, burgundy, navy, forest green, teal, plum. Do you see lots of neutrals in your closet? That’s good news as they are your best choice for wardrobe basics. Neutrals give you the most wardrobe mileage because they can be worn again and again without being remembered. They act as backdrops for your personal coloring and best fashion colors. Dressing head-to-toe in neutrals can be a sophisticated, elegant look but only if you avoid monotony by incorporating two of the following: contrasts in light and dark values, texture, print or shine, or unusual design lines. A neutral colored suit, pant and skirt can play multiple roles in your wardrobe when you start combining them with a scarf, blouse, or jacket in one of the fashion colors your color analyst gave you. Your closet may be as full of black as mine is (it’s my favorite for travel). Yet, black is not as flattering on many women as other neutrals. Why? It’s not a part of most women’s personal coloring. If this is true for you but you’re not ready to eliminate black from your wardrobe, top those pants and skirts with your best fashion colors. What about that black suit or jacket? 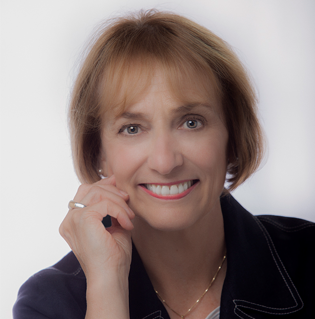 Here’s a tip Nancy Nix-Rice gives in her new Looking Good…Every Day book: Wear a black jacket with a neutral top similar to your hair color then add an accessory that has both black and your hair color to pull it all together. * White demands attention. Use it to spotlight an area you’d like people to notice or to distract the eye from a color that is not so good for you. * It’s best not to wear white in large quantities unless you have lots of contrast in your coloring, like dark hair and pale skin. Most people have at least three colors in their eyes and some as many as 20. The composite color, seen best from three feet away, is one of your most effective wardrobe colors. Your eye color expresses calmness, compassion, and trustworthiness. Worn near your face, it causes people to focus on your eyes – a plus in any one-on-one communication. Everyone can wear red – it enhances either the femininity or masculinity of the wearer. If your skin tone is warm, wear yellow-based orangey reds. If your skin tone is cool, wear blue-based cherry reds. Red is considered the most romantic color and it intensifies other people’s reactions to you. Once considered purely a color to wear on social occasions, red is a staple today in many women’s career wardrobes. Don’t be afraid to wear it, just choose the occasions when you know you can handle anything! Complementary colors (those opposite each other on the color wheel – see below) enliven each other, creating excitement, drama. For most people, blues and blue-greens are their dramatic colors because they enhance the orange and red-orange in the skin. Dramatics can be worn alone, or used to add a spark of color to neutral outfits. Attention to detail in grooming is a must when you choose dramatic colors since they draw all eyes towards you. Don’t wear them when you’d rather not be seen or heard. This last group of colors has been defined differently by various color consultants. Some identify “understated” colors as your deep neutral colors (separate from those that are “reserved” or “conservative”). Others say that if you take away your dramatic colors, your reds, your eye colors, and your neutrals, your remaining colors are your elegant, understated colors. 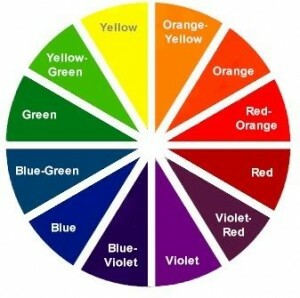 If you are ever in doubt about what color is appropriate for an occasion, select one from this category. You will always look attractive in these colors, but the key thing to remember is you won’t stand out like you do in dramatic colors and reds. Color is the first thing your eye sees. Color can influence your emotions and those of the people around you. Colors build confidence when you know they are personally enhancing. Color is the most important component of your look. You can use it to expand your wardrobe, reflect your personal style, and send a message to people around you! Unless otherwise noted, photos are from Pinterest. I love your e-mails. They really make me think about my colors. You know, I usually buy what I like regardless of color, but tend towards the reds, browns, beiges, blue/greens and black. Now when I take something out of the closet or look to buy something new, I look at the palm of my hand! Keep the e-mails coming. You know, I always admired the way you dress — classy and professional. If anyone asks if I know someone who can give her/him good wardrobe advice, I will highly recommend you. Thanks so much for your lovely comments. I’m pleased you now have an easy test to help you better shop for the most flattering colors! Sign up for monthly image, style & packing tips for your busy lifestyle. The Closet Edit . . . Easy as 1-2-3! 3 Weeks in Italy, 3 Fantastic Accommodations! Wake Up Your Winter Wardrobe! Streamline Your Routine With "Closet Capsules"
Does Your Wardrobe Fit Your Lifestyle? How to Dress for Your Body Type - It's a Balancing Act! It's Time to Take Control of Your Closet! Wardrobe for a Fall Trip to New York – Black, Brown & Leather! Can You Pack More Women's Clothes in a Suitcase by Rolling or Folding?